Trailing eclipta is a small, erect or prostrate, many brand1ed and a coarsely haired annual herb. It grows upto 30 cms in, height. It has a round, feeble stem, simple ecliptic and hairy leaves, variable in shape, bright dark green in colour with yen small flowers, called' florets. Its small, black seeds result mustard seeds. Trailing eclipta is indigenous to India and grows as a common weed. The herb contains alkaloid ecliptine. It also contains alkloid nicotine and resin. The leaves have more of water and son cellulose content. The fresh plant, leaves and roots are all used for medicinal purposes. The fresh plant and the leaves are tonic. They correct the disordered processes of nutrition and restore the nor~ function of the system. They also facilitate secreuon or excreria by opening the natural passage and pores of the body like of the skin. The roots and leaves of the plant also promote the Aowd bile. The leaves have a slighly bitter and acrid taste. It:! advisable not to take the leaves alone but to mix them with other bland leaves or some other medium. Trailing eclipta is useful in the enlargement of liver ans spleen. 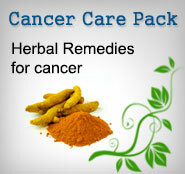 It is also useful in other liver disorders. A decoction d the herb is taken in doses of I teaspoon twice a day. The leaves of the plant can also be used for these disorders and jaundice one teaspoon of the juice can be mixed with an aromatic such as cardamon and cinnamon. For catarrhal jaundice accompanied with discharge of mucus from the mucous membranes of the intestine, a large pill of fresh leaves, mixed with a few pepper corns, is taken with curd early in the morning for about a week. The drug has the property to relieve feverishness and 163 produce a feeling of coolness. 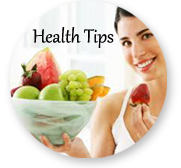 The fresh juice of the plant should be taken in doses of 2 to 8 ml. The juice of the leaves in combination with cardamom and cinnamon can be taken in fevers in doses of I teaspoon. The juice of the plant is useful for newborn babies suffering from catarrh. Two drops of the juice mixed with honey is given. The juice of the leaves can also be used for this purpose in doses of 2 drops mixed with 8 drops of honey. The leaves of the plant are useful in uterine haemorrhages or bleeding. A decoction of the leaves can be taken in doses of 60 to 120 ml, twice a day. Trailing eclipta is good for glandular swellings, elephantiasis and other skin diseases. A paste of the herb mixed with sesame (til) oil is applied externally over the affected parts. A paste of the leaves is also applied to chronic glandular swellings, skin diseases and to wounds as a styptic or astringent. The juice of the leaves can be used beneficially for cleaning and healing sores. For premature greying of hair, two parts of the herb, one part of black sesame seeds and one part of Indian gooseberry (amla) are finely powdered. One teaspoon of this powder is taken with milk and sugar twice daily for treating this disorder. Hair Growth: The fresh juice of the leaves is useful in promoting growth of hair. The juice should be rubbed into the scalp for this purpose.